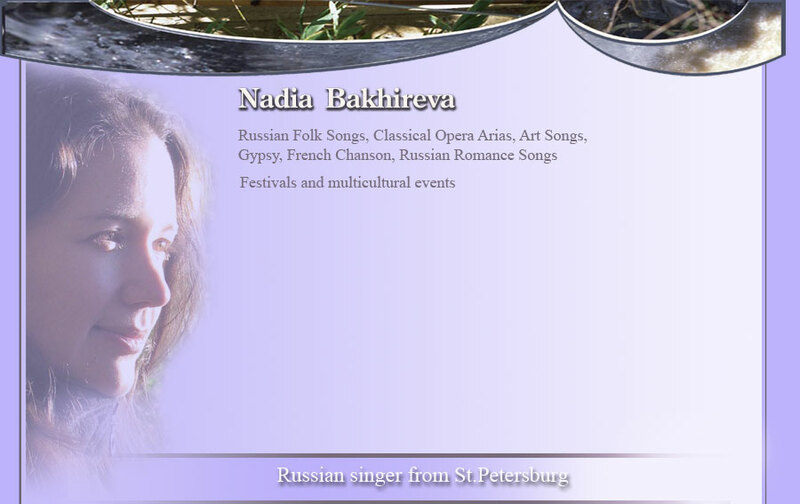 Nadia Bakhireva was born in Saratov, Russia. She graduated St.Petersburg's Academy of The Theater Arts in 1998 and started her professional career in the State Music-Drama Theater "BFFO" as an actress and singer. Nadia toured Japan and Finland as a singer and was also a featured singer with the Moscow Circus on their American tour. 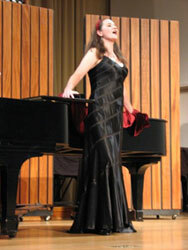 Nadia first studied with Barbara Caprilli in Rome, Italy, and then followed her to Salem College in order to continue her studies. 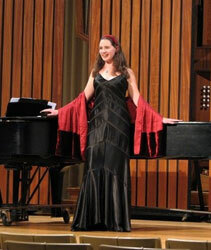 Nadia thanks her teacher, Barbara Caprilli, for opening a new life for her in both her profession and music. She also thanks her parents in Russia for their great love and support.